As the Morrison government continues to put almost all of its election campaign energy into rubbishing Labor’s plan to make 50 per cent of new cars electric by 2030, a new survey has revealed that half of all voters would support a significantly faster and even more ambitious shift away from petrol cars. The poll, taken by The Australia Institute Climate & Energy Program, found that one in two Australian voters (50%) of all political denominations supported shifting 100 per cent of sales of new cars to electric vehicles (EVs) by 2025. More broadly, the research also found that a majority of Australian voters (62%) supported a government-led program to switch to an electrically charged transport system, including 55% Coalition voters, 71% Labor voters, 78% Greens voters, and 54% ‘other’ voters. Ironically, some of the strongest voter support (62%) for firm electric vehicle policies was found to come from Queensland – the state that has been pinpointed as ground zero for the 2019 federal election campaign. Support was also strong in Western Australia (68%), the state that eastern Australian opponents of electric vehicles like to say would be impossible to reach in a battery powered car (it would not). This apparent voter appetite for a faster shift to electric vehicles does not gel with the view of the current PM, who just yesterday told reporters at an election campaign doorstep that his party was all about giving people the choice to remain firmly in the ICE age. “There’s a great choice here, and the choice is about having your choice, at the end of the day,” Scott Morrison said. But, as Giles Parkinson noted yesterday, the reality of consumer sentiment about electric vehicles – and the rapid progress of the technology globally, driven by economics, climate and performance – is somehow yet to pierce the Coalition’s tight Conservative bubble. “Australians already have a strong appetite for electric vehicles, with 50 per cent interested in purchasing an electric vehicle… a full five years earlier than Labor’s EV Target and significantly faster than the government’s strategy,” said Richie Merzian, Climate & Energy Program Director at The Australia Institute. Certainly, if you look outside of Australia, the writing is much more clearly on the wall. 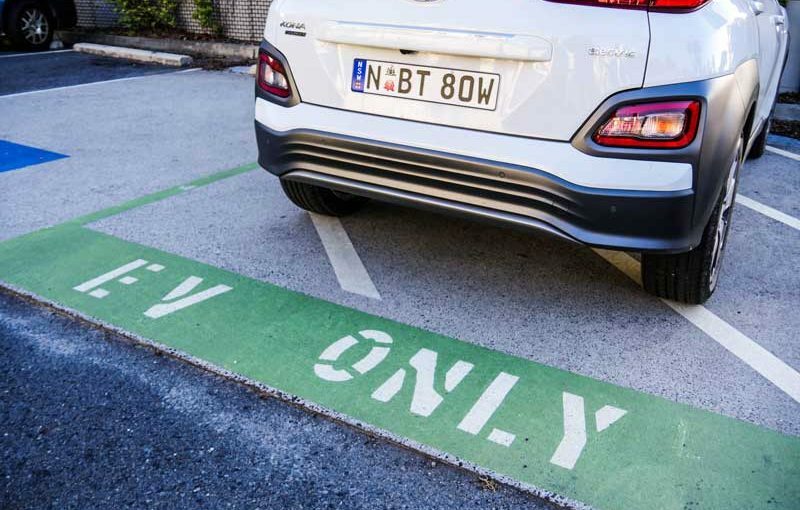 TAI’s research also looks at popular policy mechanisms adopted in Nordic countries that have successfully accelerated electric vehicle uptake, in particular, Norway, which reached the 50 per cent EV goal in 2018 by implementing targeted policies and incentives. Merzian says that ambitious EV ownership targets only seem out of reach in Australia because it is so far behind on EV policy and infrastructure. “Instead of driving Australia backwards by preserving our gas-guzzlers, any future government should look to the fine example of countries like Norway,” he said. As you can see in the table below – published in a separate briefing note by The Australia Institute’s Nordic Policy Centre – Norwegian policymakers used a combination of access incentives, use incentives and purchase incentives to drive uptake.